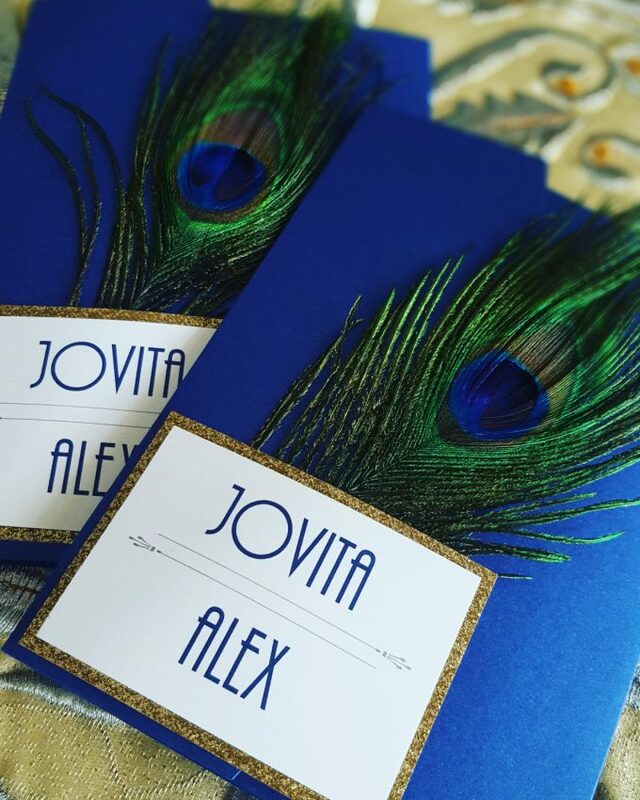 If you’re planning an art deco / 1920s inspired wedding, get ready to cross invitations off of your list! This amazing Great Gatsby wedding invitation is a dream come true. 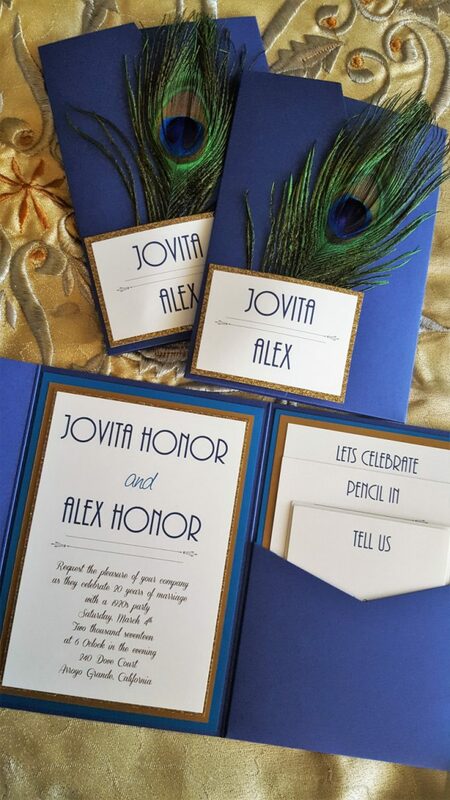 It features a luxe peacock feather, shimmery deep blue, and antique gold touches for an incredible color palette. 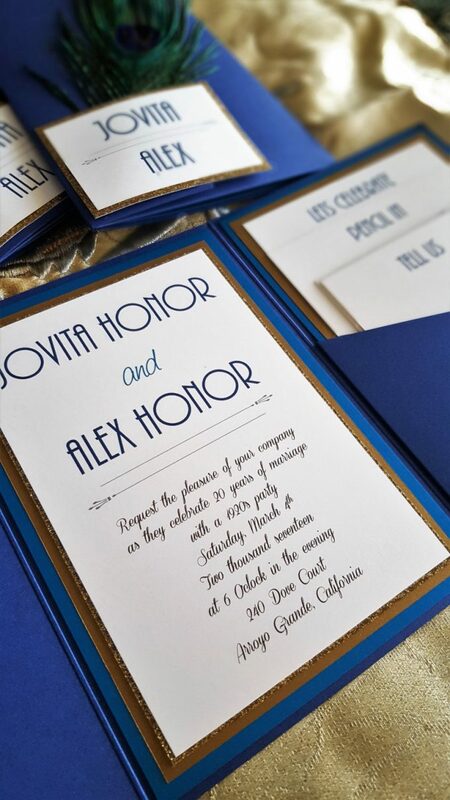 Laura from I Do Bliss seriously knocked it out of the park on this invitation suite; take a peek! This pocketfold style invitation will delight The Great Gatsby fans! The invitation is made with smooth shimmery deep blue and features turquoise and antique gold on the inside (what a cool color palette). The main card and inserts feature premium soft white cardstock and three layers of antique gold, glitter gold, and turquoise. Your Great Gatsby wedding invitation can hold three inserts of your choice plus an RSVP envelope. The outer envelope coordinates in antique gold and can include address printing (upgrade). Want to get a sample? Head over to I Do Bliss to find out more or buy yours. Laura is amazing to work with and we adore her work! Check out her entire collection here.